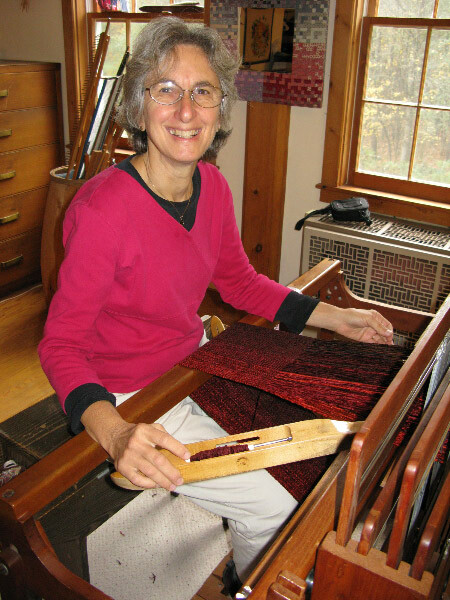 Handwoven scarves, shawls, placemats, journals, and more. Thank you for visiting my website. I have been in business here in Vermont since 1980. I enjoy working with color and texture to create pieces beautiful to see and touch. My products include chenille scarves and shawls, tencel scarves, bamboo scarves, cotton placemats, woven recycled newspaper journals, braided baskets, and more. If you are interested in viewing or purchasing any of these items please email carolschnabelhandweaving @gmail.com to set up a time to meet or speak on the phone. I sell to individuals as well as to stores. You can see photographs of my products and the stores where they are regularly available. For information about the annual holiday sale at my studio, see here.